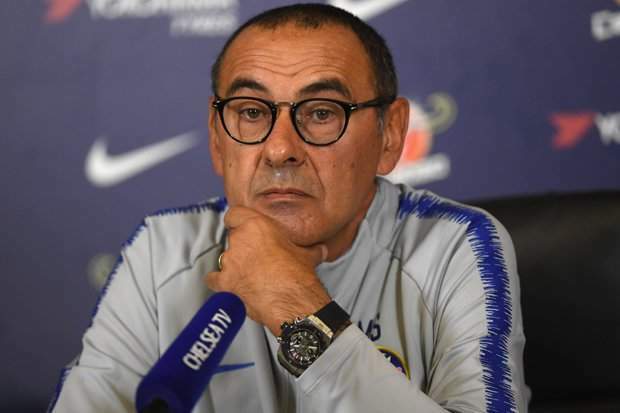 Chelsea manager, Maurizio Sarri, had said the English Premier League will miss sacked Manchester United boss Jose Mourinho and hopes that the Portuguese can return to management in England again. United dismissed Mourinho on Tuesday, after suffering their worst start to a league season for 28 years and replaced him with former striker Ole Gunnar Solskjaer, until the end of the season. Ahead of Saturday's home league clash with Leicester City, the Italian was asked if the former Chelsea, Real Madrid and Inter Milan boss would be missed. Sarri said, "I think so. Mourinho won everything, won everywhere, so I like him very much as a coach and as a man. "I think he is right when he said that United have a future without Mourinho, but he has a great future without them. "I will like to see him on the bench as soon as possible, maybe in England." Sarri also said Solskjaer should expect a tough job, as he attempts to steady the ship at United and get the team firing on all cylinders again. "I remember him as a player. He was a good player. But I don't know him as a coach. Of course, the job will be difficult," the Chelsea manager added. Solskjaer speaks on Mourinho "struggling to find work"